Previous Post OOTD and Competition Win! 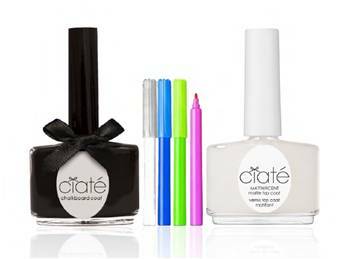 Next Post Ciate Chalkboard Manicure Giveaway! Oh this looks really cool! I wonder how the pens will work, they’d have to be really good quality to show up over the dark black background. Can’t wait to maybe try this out! Wow, this manicure is absolutely perfect!!! love it so much!! Can’t believe I didn’t know there were chalkboard sets out already – these look incredible! These look fab! Although I doubt I’d be able to make mine look as good as they do in the photo haha! This looks pretty neat! Badly want to try it!